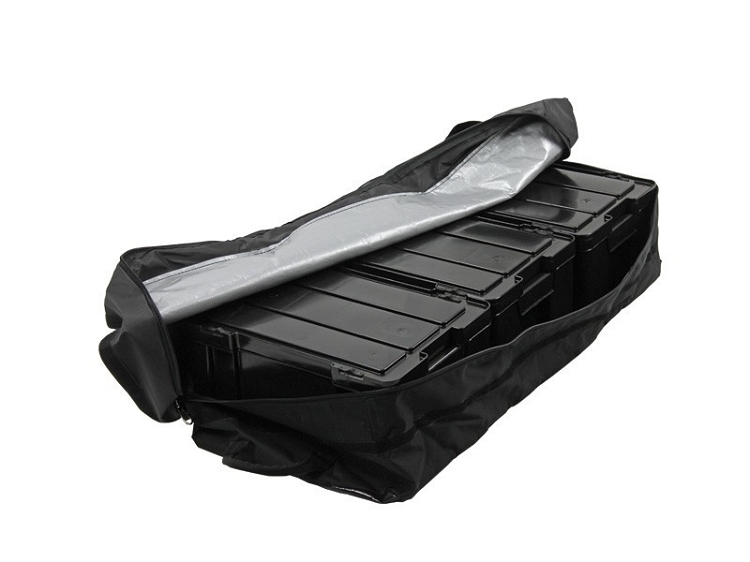 Sturdy, flexible, lightweight, large roof top storage bag. Ideal for clothes, camping gear, and storage containers, and whatever else might not quite fit in the cabin of your vehicle. Sandwich padded construction with polyester lining. Manufactured in South Africa with 600 denier polyester fabric and superior stitching. 4 Triple stitched tags for looping through Front Runner Stratchits (or similar straps) and securing the bag to the Front Runner roof rack or other cargo carrier. 2 Carrying handles. Easily remove the bag to carry to camp or other lodging. 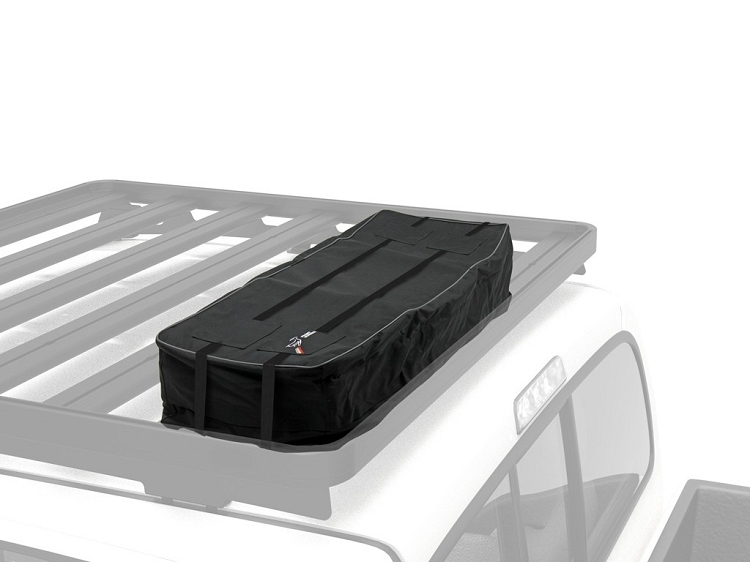 Fits 2 Front Runner Wolf Packs, up to 3 Front Runner Cub Packs or up to 3 Front Runner Flatpack Storage Boxes.